Technology really is composed of three elements: tools, codes and knowhow. Tools embody the knowledge of how they were made. They exist in three-dimensional space. Codes include recipes, protocols, routines and how-to-do manuals. They codify the knowledge about making things in the form of instructions to potential implementers, just as cookbooks do. Codes exist in a symbolic space in the sense that they mean the same thing whether they are implemented as ink over paper or as letters on a screen. Tools can be shipped anywhere in the world and codes can be put on the web, making them available pretty much everywhere. So why do such large differences in productivity and technology persist? Implementing technology requires not just tools and codes but also knowhow. To play a violin sonata you need a violin, which is a tool and you need the music score, which is a code, but you also need to know how to read the notes and how to play the instrument. That is what we call knowhow. It exists only in brains and gets there through a long process of imitation and repetition. It takes many years to become a master violin player. Knowhow is tacit, meaning that it is hard to transmit. You do not learn it by just hearing somebody speak about it. Tools, codes and knowhow are complements: you need all three. If you do not know how to play the violin, you cannot compensate the problem by using more violins or music scores. Because of its reliance on knowhow, technology moves across geography only with difficulty and it is much easier to move brains than it is to move knowhow into brains. Moreover, it is not just individual knowhow that matters. Many technologies cannot be implemented by individuals: they require coherent teams. A violinist may play a violin sonata, but he cannot, on his own, play a symphony. He requires many other musicians that are competent in different instruments. Having more technology means having more tools, codes and knowhow, but the hardest to accumulate is the knowhow. And knowhow does not grow because musicians individually learn how to play more instruments. It is because different musicians learn how to play different instruments. In other words, societies know more because individuals know different. Hence, accumulation of knowhow at the level of the society requires the division or diversification of knowhow across individuals. This diversification of knowhow has two consequences. First, more knowhow means that societies would have what it takes to know how to make more things, meaning that production can become more diversified. Second, having more knowhow also means that societies can also make more knowhow-intensive products: things whose production requires larger and more diverse teams. If a society accumulates knowhow it will be able to do things it was not doing before, that is it would diversify its production. But this faces a chicken and egg problem. You cannot do the things you do not know how to do but you do not know how to do the things you do not do. For example, if a country would like to start producing watches, it will need watchmakers. But if it doesn’t produce watches, it will not have any watchmakers - it will have to train watchmakers. But who will train the watchmakers if there are no watchmakers to begin with? This type of problem is ubiquitous when it comes to economic diversification and limits the speed and scope at which it can take place. The good news is that there are solutions. As knowhow resides in brains, the movement of knowhow happens through the mobility of the brains that hold it. This happens at all scales. It happens between firms in a city. In the heydays of automotive industry in Detroit, Michigan, almost half of the over one hundred new auto firms were spin-offs from existing companies, as employees that learned how to do things in one firm moved to found other firms. Similar is the case of the Silicon Valley, where many semi-conductor companies are spinoffs of a single parent company – Fairchild Semi-conductors, itself a spin-off from Bell Labs. It also happens between regions of a country. In research with Frank Neffke we documented that the firms that diversified East Germany after reunification hired experienced workers from West Germany and firms that diversify regions of Sweden are founded by entrepreneurs that come from outside the region or by multi-plant forms that are headquartered outside of their region. And it happens also between countries through migration, diaspora networks and foreign direct investment. Starting in the 1960s, Singapore opened up both to foreigners and to multinationals. Today, 46% of Singapore’s population is foreign-born. Over the last 20 years, Singapore’s annual FDI inflows have averaged 18% of its GDP. Today the purchasing power of Singapore’s GDP per capitais seven times that of Sri Lanka, although at its founding in 1965 Singapore looked up to Sri Lanka. By contrast, only 0.1% of the Sri Lankan population is foreign born and FDI has averaged about 1% of GDP. In addition to migration and FDI there are diaspora networks and return migration. Members of a country’s diaspora often acquire knowhow in their host country that they can transfer to their home country under the right circumstances. Return migration of US educated engineers to Taiwan and Korea played a key role in the development of the ICT industries in this region and overseas Chinese played a key role in the development of China once it opened up to FDI in 1978. They brought along knowledge, capital and connections from the world’s most advanced places. Several cities in India, most prominently Bangalore and Hyderabad, managed to become world-class IT centres by leveraging the Indian diaspora in the US and the returning diaspora. Today, India’s ICT service exports are 5% of its GDP, while those of Sri Lanka are only 1% of GDP, even after the end of the civil war. These channels have all played a role in Sri Lanka’s past growth as well. The rubber tyre sector was pioneered by an immigrant from Belgium, for example. In the garment sector, today’s two largest exporters were started by descendents of immigrants from Gujarat and in general most of the largest post-liberalization companies started as joint ventures or FDI. Finally, the rapidly-growing IT sector is bolstered by the connections that Sri Lankan entrepreneurs made while living in Silicon Valley and elsewhere. Yet in spite of their transformational impact in the past, there remain significant barriers and disincentives to immigration, return migration and FDI in Sri Lanka today. 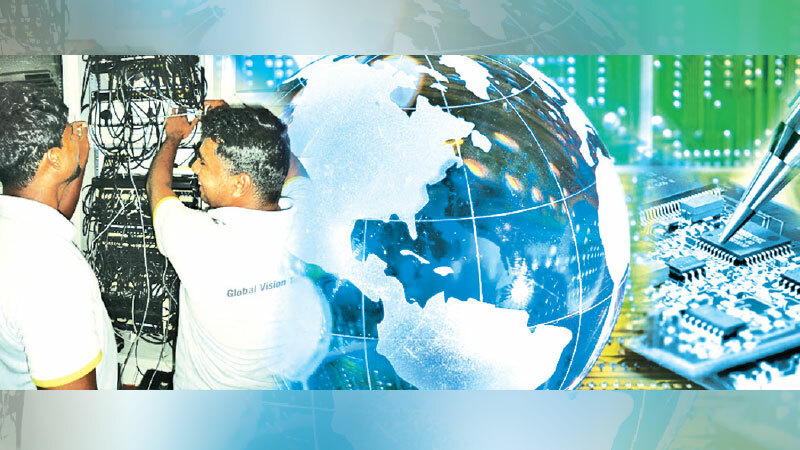 Going forward, it is critical that Sri Lanka harnesses these three knowhow channels. Sri Lanka’s economic growth is constrained by the weak growth of exports, particularly from new sectors. In the last 25 years, Sri Lanka has seen virtually no new export products, especially in manufactured goods. This is in contrast with other countries in the region such as Thailand, China, and Vietnam, where new product lines contribute significantly to the increase in overall exports. 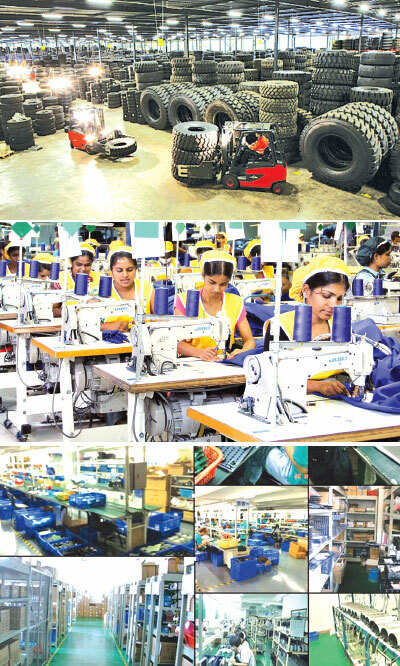 While Sri Lanka is still mainly exporting garments and traditional agricultural products, the other countries moved onto electronics and machinery. As a result, Sri Lankan exports have not been keeping up with the pace of economic growth, leading to widening of the current account deficits that ultimately cause growth to stall. But Sri Lanka can change this by enhancing the inflow of knowhow from abroad and it has several policies it can adopt. One of these is immigration policy. The current immigration system makes it difficult for Sri Lankan firms to hire foreign professionals. It also makes it nearly impossible for potential new entrepreneurs to migrate into the country to establish new firms. In a six-country comparison of Asian countries, a recent Harvard CID study showed how restrictive the current policy regime is in Sri Lanka. The study found that while other countries are transitioning from systems that just authorize immigration to those that promote it selectively, Sri Lanka has restrictions galore including no path to permanent residency or citizenship, a feature that is quite unique. Singapore, for example, offers a variety of visa categories for key economic actors such as investors, entrepreneurs and start-up talent. It also offers a variety of visa categories for people with different levels of skills and economic roles, from the highly skilled to domestic servants. It offers the possibility for workers’ dependents to seek employment as well as paths to permanent residency and citizenship. As a result, foreigners there have high incentives to consider migrating to the country and once there, to integrate and to invest in the future of Singapore. Sri Lanka is very far from these practices. True, the Board of Investment (BOI) makes it easier for BOI firms to hire foreign employees, but other immigration regulations make Sri Lanka a less attractive work destination; spouses of foreigners need ministerial-level permission to work in Sri Lanka; foreign experts are not allowed to move across firms, as visas are specific to an employment relationship; and they cannot aspire to permanent residence, let alone citizenship. For non-BOI firms, which are the overwhelming majority of Sri Lankan companies, hiring foreign experts is much harder. One hurdle facing many worker visa applications is obtaining approval from the corresponding national association for the profession. These associations have often worked on the assumption that businesses might use foreigners to substitute for local professionals and hence lower their wages or employment prospects. But this assumes that foreign professionals are substitutes rather than complements of local talent. Substitutes are things like tea and coffee. The more tea you have, the less coffee you want. Complements are things like tea and sugar; the more tea you have, the more sugar you want. In research studies that Harvard CID has carried out not only in Sri Lanka but also in several countries including Panama, Mexico, Albania, Saudi Arabia and Jordan, we have found that foreigners, especially skilled ones, are strong complements, not substitutes of locals, meaning that a greater employment of foreigners increases the employment and wages of locals. Moreover, the effects are not just limited to the expansion of the industry that hires the immigrant: there are important multiplier effects on the whole local economy with employment multipliers – that is local jobs created per immigrant – estimated between two and four. One study for the U.S. estimated that every foreign-born worker with a Science Technology Engineering or Math (STEM) degree creates 2.6 jobs for U.S.-born workers. And since these are good jobs that pay high wages, their growth also increases the demand for non-tradable domestic services. By contrast, immigration restrictions tend to create artificial skills shortages that prevent industries from expanding and hiring more locals. It is clear that Sri Lanka’s current economic structure – and the underlying knowhow – is inadequate to propel the society forward. Some Sri Lankans wish that their country would become a trading and services hub for the Indian Ocean, or a high-tech manufacturer connected to many global value chains, or an incubator of some of the world’s next high-tech unicorns. Each of these visions is possible, but not if the country tries to do it alone. No economy can achieve such a transformation using only the knowhow of the citizens who have never ventured past its borders. The successful economies enhance their capabilities by attracting the missing sugar that can enhance the tea; that is, they work to integrate foreign migrants and their own diaspora into their societies. Rather than fearing foreigners, they develop an attitude of pride in the fact that people born elsewhere want to become part of them. This is a path that is open to Sri Lanka. But as all paths, it does not get you anywhere unless you take it. 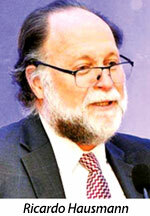 Ricardo Hausmannis the Director of the Centre for International Development (CID) at Harvard University and a Professor of Economics at the Harvard Kennedy School. Additional research for this article was conducted by Ermal Frasheri, Ljubica Nedelkoska, Sehar Noor, Tim O’Brien and Daniel Stock of the CID’s Growth Lab.